CareerSpot is delighted to announce the launch of CareerSpot Assist, a charitable program in which a percentage of every advertisement placed across the suite of CareerSpot websites goes towards assisting children in need. We are pleased to launch the program in conjunction with the Starlight Children’s Foundation, a charity that works to brighten the lives of seriously ill and hospitalised children, and their families, throughout Australia. CareerSpot Assist works by contributing a percentage of every advertisement placed on any of the CareerSpot websites to Starlight. In doing so, we will make a significant donation to Starlight every year, helping them to continue their great work with ill children. Every job you place with CareerSpot is helping kids in need. From single ads to advertising packages, conference and event listings and banner advertising, every time you advertise with CareerSpot you are helping to provide support to this wonderful charity. CareerSpot will make quarterly donations to the Starlight Children’s Foundation, and as the Assist program grows through your support, we hope to expand our donations to a variety of reputable charities across the country. 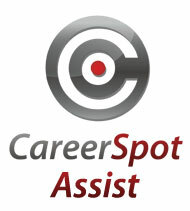 To contribute to the CareerSpot Assist program, all you need to do is place an ad with our websites. When your invoice is paid, a deduction for the assist program will automatically be made. We will keep this page updated with our contributions so you know exactly how much of a difference you are making in these kids’ lives. We want to thank you for your support and we look forward to seeing our donations make an impact in the lives of these very deserving kids. Please click here to view our official accreditation.